The first hoodies, they say, were manufactured by Champion Products in the 1930s. They were designed for athletes and labourers. It was the result of a technological advancement; Champion had developed ways to sew thicker underwear material. Before that, they’d mostly made knitwear. The first hoodies were sold to cold-storage warehouse workers and tree surgeons working in the hinterlands. Then they were sold to school athletes, sitting on the sidelines in inclement weather. The hoodie’s countercultural associations came later. In the 1970s, hoodies made their way into hip hop and skater culture. They kept breakdancers warm while they waited their turn to hit the floor. They served another purpose. Hoods are cheap instant anonymizers. They protected graffiti artists and skateboarders as they trespassed to perform their art. They protected muggers as they performed their art too. It's remarkably to consider how much utility and baggage one piece of clothing can carry. 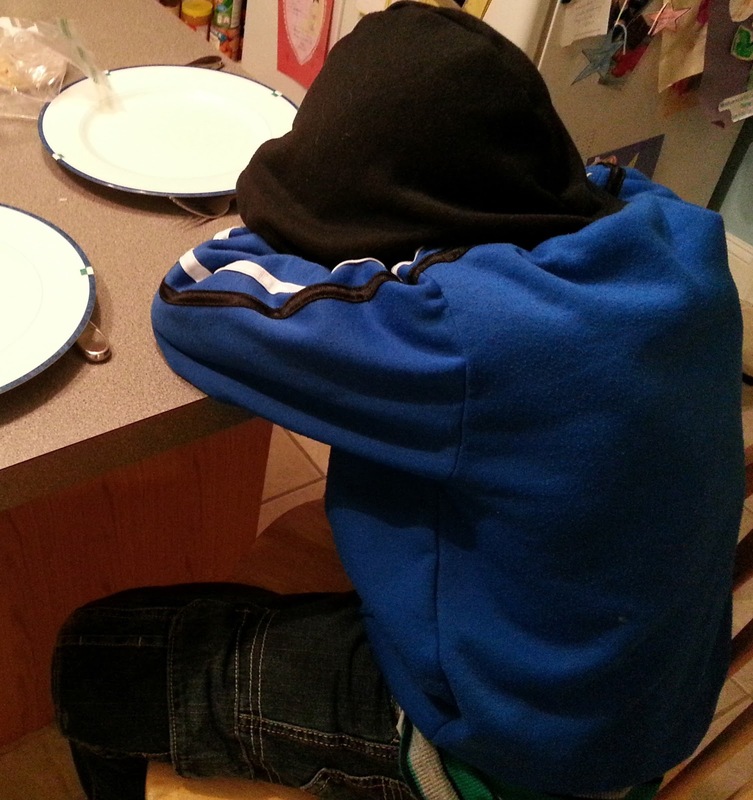 And it really does work - is our 8 year old resting his eyes, or plotting a scheme to avoid having to eat the vegetables that will soon be on his plate? Personally, I very much like my black hoodie and find it a surprisingly warm choice for the walk to the bus stop.